I don’t want to bring attention to this right away because it’s probably all you’ll see, but I can’t stop thinking about how the two pieces of mozzarella on the top of this burger look like two teeth. Granted, teeth that need dental work, but teeth nonetheless. Am I the only one seeing this? Anyways, if we can move beyond the teeth-like cheese, we can talk about MORE cheese. The cheese inside the burger. That’s right – I stuffed one of those lovely pieces of fresh mozzarella inside the burger before cooking it. 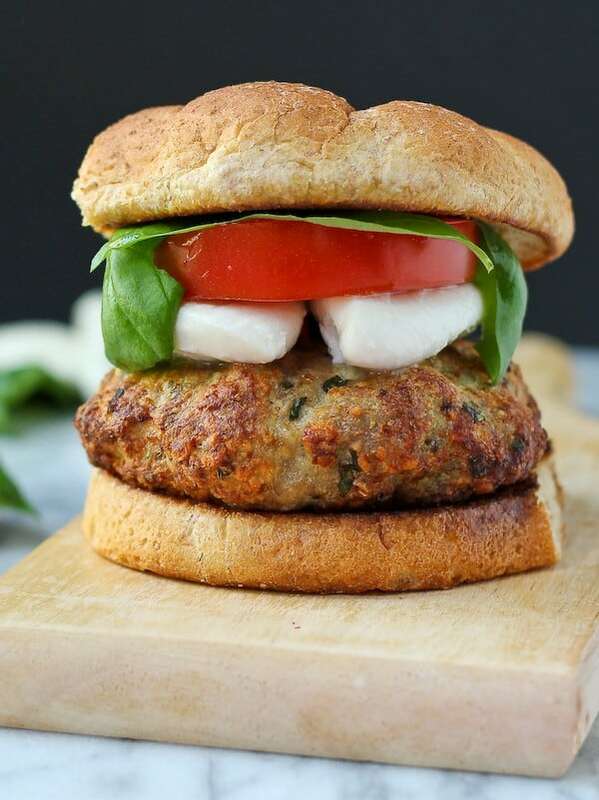 Fresh mozzarella is one of my favorite types of cheese and it’s such a fun surprise to bite into the burger to find the ooey gooey cheese. Also why I left the cheese on top unmelted. 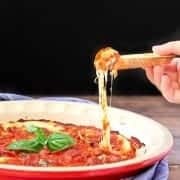 I wanted to showcase all of the equally delicious ways to eat the mozzarella. And of course, what is summer without the flavors of caprese? I’ve made more lunches than I can count with just a handful of tomatoes, some fresh mozzarella and basil from my garden. Who needs anything more in the summer? Well, okay, my husband probably wouldn’t be happy with only that as a meal. Enter, these turkey burgers. Make sure that the burger is formed completely around the mozzarella so that it doesn’t leak out when it melts. I usually broil these because they are a little fragile. If you want to grill them, be careful! You might want to do them on foil or a grill pan. If you put these on normal grill grates, they’re likely to break up and fall through. I toast my bun on a griddle with a bit of olive oil for a nice crispy surface. Only mix the meat mixture enough to combine all the ingredients. Over-mixing will create a tough burger. To a large bowl, add ground turkey, basil, panko, egg, salt, pepper, vinegar, and parsley. Grate the onion and garlic over the bowl to catch all the juice. Mix everything together using your hands until it is combined. Do not overmix. Divide meat mixture into four portions. Form one portion into a patty around a piece of mozzarella, making sure that cheese is completely encased by meat. Repeat process for the remaining meat, forming 4 patties total. Place on a sheet pan lined with foil and broil on high (about 4-5 inches from the heat) for about 6-8 minutes (or until golden brown), flip over, cook for another 4-6 minutes or until burgers are cooked through to 165 degrees Fahrenheit. Add to buns, top with tomato and fresh basil, more mozzarella if you want, and pesto if you want and serve immediately. Verdict: Loved this burger! I think I went bunless (little changes make a big difference in the long run! ), but a bun wasn’t needed with such great flavors in the burger itself. Husband’s take: What guy wouldn’t love a burger stuffed with cheese? Craving more summer-worthy burgers? Try: Turkey Taco Burgers, Pizza Turkey Burgers, or Welsh Rarebit Burgers. And as always, if you’re looking for more inspiration, I have a Pinterest board devoted to the subject. 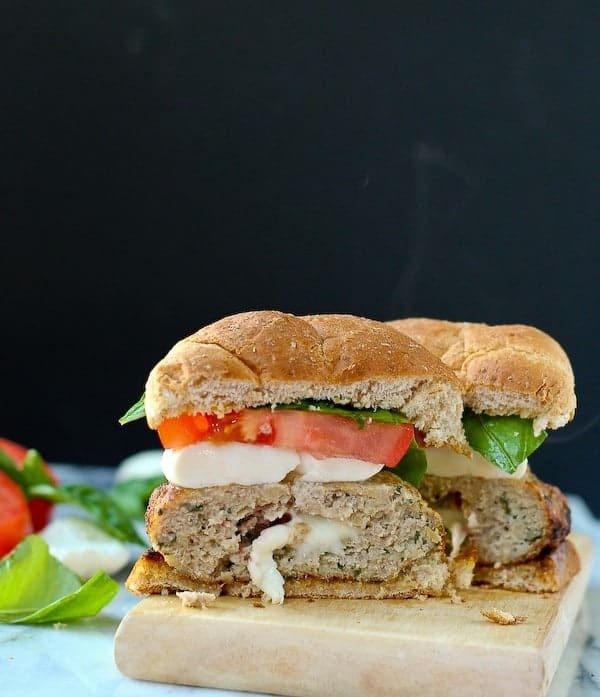 Find more great burgers like this mozzarella stuffed turkey burger on my Sandwiches & Burgers Pinterest board. Follow Rachel Cooks | Rachel Gurk’s board Sandwiches and Burgers on Pinterest. gimme mozzarella-stuffed anything and I’m happy!!! 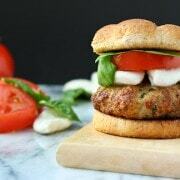 love this turkey burger! Wow-za! Anything with cheese in the middle is a winner in my book! I love that this burger has that mozzarella oozing out. <3 I love caprese too, so I know that these flavors would be a winner. You certainly had me at mozzarella stuffed…..that sounds so cheesy-licious already! This looks like the perfect delicious alternative to the usual beef burger! Yum! This looks so good! 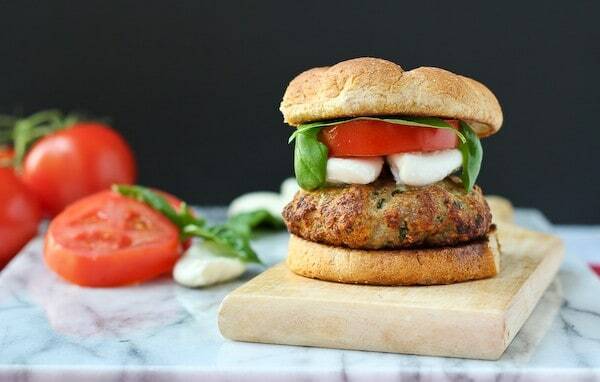 I’m with you and would probably leave out the bun- I think it usually detracts from the rest of the flavors going on, and I want to taste that mozzarella! Double the cheesy goodness! I just bought 2 big rolls of fresh Mozz that would be happy to be in and on these burgers, which look insanely good btw! Gotta make these ASAP! All I’m seeing is that gooey cheese oozing from the center of that delicious burger. Can’t. Stop. Staring. Pinned. LOL! I wouldn’t have noticed the teeth, too funny. These sound and look amazing!!! I love cheese!! I love how your sandwich photographed! It looks so good! 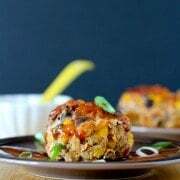 Rachel, yummy recipe! 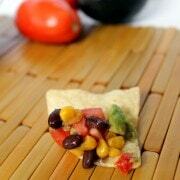 So great for summer and casual entertaining! perfection. the soft mozzarella, the Turkey, wow so filling and flavorful. The “tooth” look would make these perfect for Halloween too. I don’t think I could wait that long to enjoy this fabulous burger, though. I love all the flavor. Ok, I’m sorry, but I just see teeth now! BUT, I’m a-ok with that because turkey, mozzarella and tomatoes? GIMME THAT! I love how fresh and Summery these are! Pinned! I’d eat some mozzarella teeth ANYDAY!